OneCNC Mill Turn Lathe also known as the multi function lathe has great time saving technology included. for C Y and B axis machining. ObeCNC pioneered the inclusion of HS Technology in Mill Turn as a standard feature without added costs or needing separate third party modules. OneCNC Mill Turn 3D HS Machining does not have fancy names just has the best technology in the industry for no added cost. OneCNC Mill Turn Lathe also known as Multi Function machining has great functionality and includes the great time saver 2D HS Roughing Technology. In this video you will see the HS 2D Roughing being used on the large flange. OneCNC Mill Turn is what you need to get the best from your CNC Mill Turn lathe. Available in C axis C+Y axis or C+Y+B axis. This is just a short video showing the OneCNC Mill Turn functionality of machining a pinion which is just one example for this machine functionality that is available. All standard machine controllers and machines are supported and there are no charges for posts to suit those machines. The post is controlled by a user GUI interface which allows for user personalized configuration to suit individual user preferences. The high-performance OneCNC and ease of use of the system offers powerful programming for any CNC machine tool. OneCNC has solutions with functionality that includes programming for 2-5 axis milling, 2-5 axis turning, 2-4 axis wire EDM, 2 axis Profiler, multitasking mill-turn machining, and B-axis machine tools. Streamline your operations with the powerful and flexible OneCNC, valued by CNC programmers for its extensive wizard driven machining cycles, tool control, and capacity to fully support the entire shop. A standard feature, there is no requirement to buy added modules for High Speed milling in OneCNC this is included and creates constantly adapting tool path with consistent cutting conditions providing smoother, safer faster motion. This motion is easier on your machine and can effectively use the full flute length, greatly extending cutter life and often eliminating the need for multiple depths of cut. Optimized cut ordering, specialized motion for efficiency, and other elements combine to deliver parts faster than ever before. OneCNC has seamless CAD to CAM and directly imports part model from almost any source, fully intact, with no need for programmers to edit or rebuild geometry. OneCNC directly machines from any combination of geometries of solids, surfaces, wireframe, or STL providing you with complete manufacturing flexibility. Starting with 100% complete and accurate part geometry eliminates nearly all of the difficulty in programming complicated parts and dramatically reduces programming time. OneCNC gives your shop the best possible foundation for shop-tested CAD tools. From wireframe and surfacing with associated dimensioning to solid modelling, OneCNC ensures that you’re ready for any job. Most OneCNC products include wireframe geometry and dimensioning tools. Expert and Professional versions include surface modelling and solids modelling tools. The Expert versions have the full CAD Design similar to the stand-alone CAD Design product. 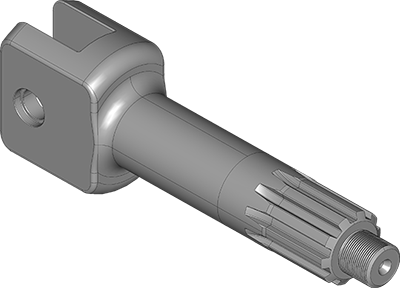 This practical CAD Design solution is also available separately, letting you focus on design without tying up CAD CAM programming software. 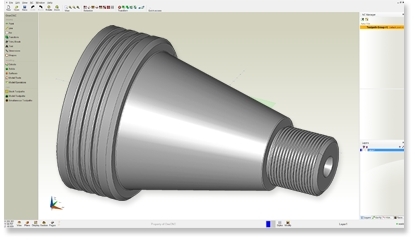 OneCNC streamlined CAD engine makes design work easier than ever before. Each piece of geometry you create can be incrementally or absolute created. With all traditional CAD geometry functions consolidated into a few simple clicks, OneCNC simplifies the creation of even the most complex parts. OneCNC incorporates a smart plane tool, which allows the construction plane to be set at any position. 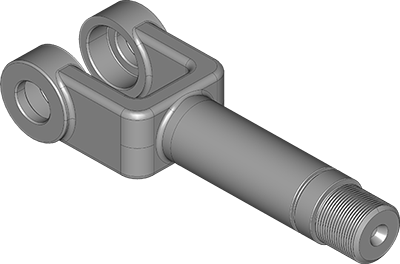 This really makes 3D modelling simple as well as simplifying the setting of the CAM faces and angles. To machine a face of a multi-axis module model it is a simple matter of placing the plane on the face and the CAM rotation angles are automatically configured. Surface modelling remains one of the best and easiest ways to create 3D organic shapes. OneCNC delivers a powerful set of surface design tools that give you straightforward control over the fine detail of even the most complex job. Solid modelling is helping to transform the way parts are designed. OneCNC brings the power right into your shop. OneCNC provides faster modelling of parts, moulds, tools, and fixtures using integrated solids, surfaces and or wireframe functionality. This provides greater flexibility in importing models and provides Solids machining of OneCNC powerful CAM functions. Versatility is crucial to efficient part design and programming. OneCNC Solids lets you mix and match your modelling techniques. Need to add surface or wireframe elements to a solid that is a simple function. Want to quickly add solid components to a complex surface model that is also very easy. OneCNC Solids ability gives you the speed of solids, the power of surfaces, and the simplicity of wireframe. You choose the right tool for the right job. OneCNC can manufacture from any combination of these. 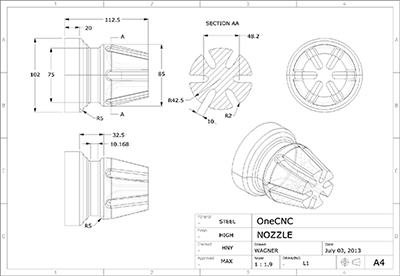 OneCNC provides the detailing tools required for mechanical design including tolerance and notation. Horizontal and vertical automatic alignment is easily controlled and positioned. Models can be automatically sectioned for intelligent automatic dimensioning by simple clicking of the user. 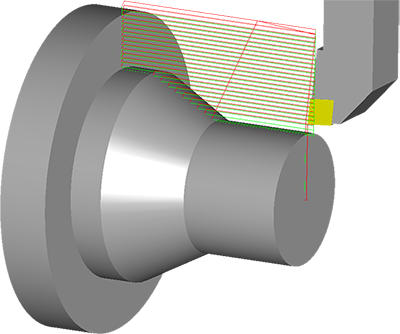 OneCNC simplifies and standardizes your lathe machining, with a minimum of time and training. OneCNC offers specific functions for facing and OD or ID turning, a universal machining function driving single-point tools for a wide variety of machining tasks. OneCNC roughing cycle enables you to work from castings, pre-roughed, irregular-shaped, or bar stock, and has options for controlling machine movement from clearances to differing Z and X stock allowances. For drilling and hole making, choose between OneCNC automated machining cycles and your machine tool's canned cycles, or use a combination of both for maximum efficiency. 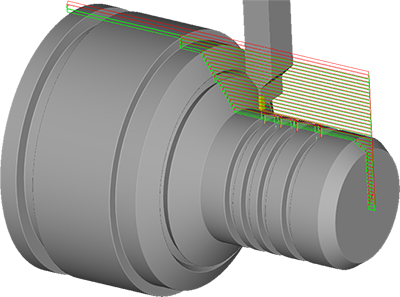 OneCNC gives you grooving cycles with a variety of optional tool movements, including single plunge, multiple plunge and peck grooving, zigzag grooving, parting, and even contouring with grooving tools. For thread machining, OneCNC offers multiple threading options, including single or multi-point, with straight or tapered threads. OneCNC automatically calculates the depth and number of cuts required together with spring cut settings for accuracy control. OneCNC provides a powerful function where the user can select a paper space and automatically apply each view of the model to the 2D drawing space. This can include 2D or 3D sectional shaped with full hidden line detail. A customer asks for a quote on a 3D modelled part you received. You would like to make a few calculations, such as material size, and consider the number of setups involved in manufacture. Maybe even estimate the cycle time to obtain costs. 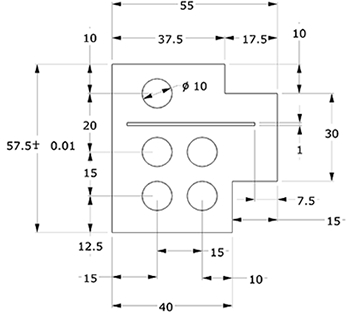 Or maybe you need to make a 3D model into a new 2D part drawing for drilling layouts, but you don’t want to waste the day wrestling with CAD then this automated 2D drawing layout ability is your answer. 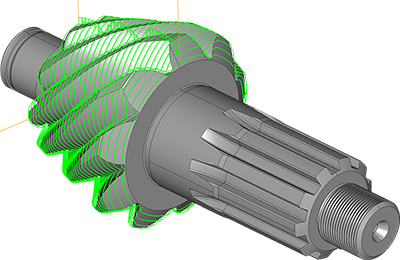 With unparalleled ease of use and uncomplicated approach to tool path generation, it’s the only software you’ll need for2D 3D and multi axis milling machining. Unleash the multitasking functionality of your Multi Axis Lathe with OneCNC C and Y mill-turn capability, combining turning, milling, and drilling machining operations in one G-code program. OneCNC Lathe Expert features three levels of C and Y-axis machining functionality providing support for a full range of multitasking machine tools. Choose from milling profile cutting, pocketing, thread milling or a variety of drilling machining cycles. Perform 2 1/2-axis milling operations on your lathe using Z, X, and C, or Z, X, and Y axes. Slotting and cross drilling is easy when you can "wrap" pockets, holes and profiles around a rotary C-axis movement. Lathe Expert version performs full 3 axis model machining with the B axis function. For off-centre Y-axis milling OneCNC gives you an extensive set of milling functions including facing, pocketing, profiling, rest machining, feature recognition of holes and more. You can use these functions on the C, Y, and B axes to machine features at compound angles on the part face internally or externally. OneCNC CAD/CAM Lathe Expert is a complete standalone design and manufacturing solution. This is the premium version of OneCNC CAD/CAM to Design, engineering components, tool design, modelling for CNC Lathe manufacture all in one easy-to-use program. Whatever your starting point from an idea concept, design sketch, customer data, scanned image OneCNC CAD/CAM Lathe Expert will help you make it possible. Traditional turning centres and lathes are rapidly changing with the addition of multi-function Mill Turn machines with the ability to produce complex parts in one operation. Whether you are looking for a CAM system to automate your traditional turning from roughing and grooving to threading and finishing for faster, more accurate results offline, or to maximize your multi-function machine tool use, OneCNC is the right CAD CAM choice. OneCNC CAD/CAM has a unique combination of geometry construction and hybrid-modelling tools let you create detailed, accurate 3D models of even the most complex mechanical parts simply and efficiently. Complete solution combining power of tool path generation with seamless CAD in one totally integrated CNC program and manufacturing simulation solution. Imports industry standard file types such as STEP IGES, Parasolid, SAT, VDA-FS, Solidworks (.sldprt), Rhino, DWG and DXF, for easy communication with your customers. Designed for Lathe CNC production with functionality to maximises metal removal rates, and finishing toolpaths required for high quality turned components. Provides efficient Mill Turn toolpaths that maintain consistent cutter load, increasing tool life for multi axis manufacturing. Machine is better utilised due to continuous manufacture with little or no down time for programming. Tool paths that produce parts with excellent surface finish quality, eliminating hand finishing or de-burring. Here is a simple list containing many of the features that the various OneCNC Lathe products provide. Pleaselease consult the 'Key Features' (above) to see a more detailed breakdown on many of these.